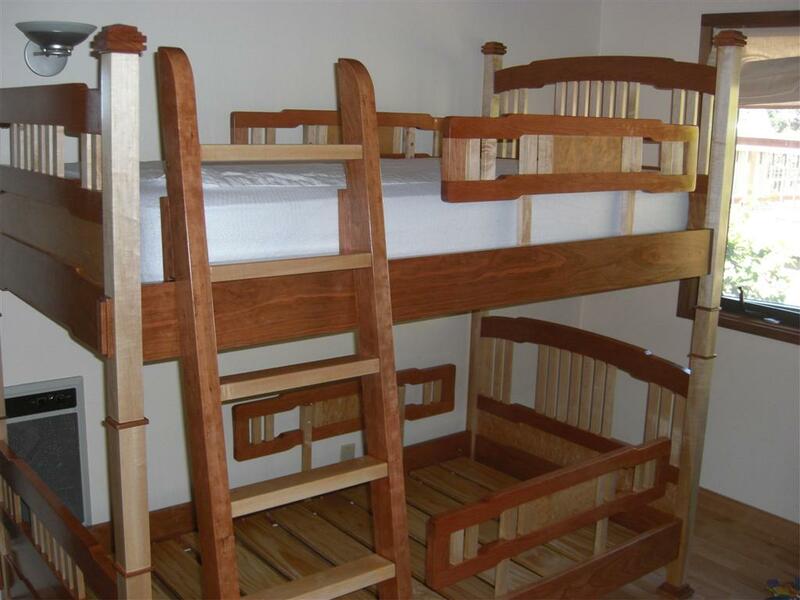 “I recently completed this Bunk Bed for my Grandchildren. I apologize for the photographs. 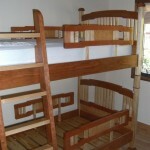 The shots were done in the boys’ bedroom and I couldn’t get back far enough to get complete photographs. 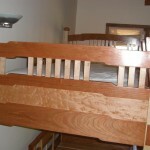 The bed is made with solid maple for the stiles and solid cherry for the rails. The rails have birds eye maple veneer insets. The bolt hole covers are fastened to the bed with Velcro to facilitate removal. 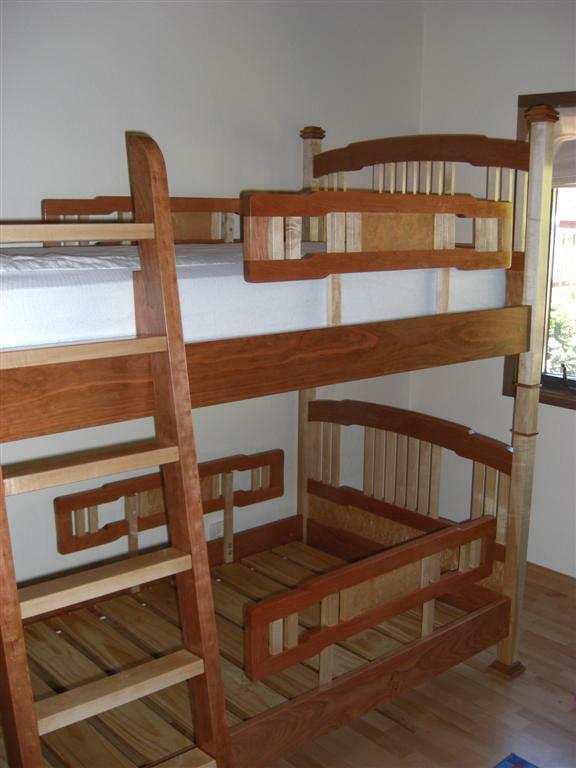 Ultimately it will separate into 2 twin beds. 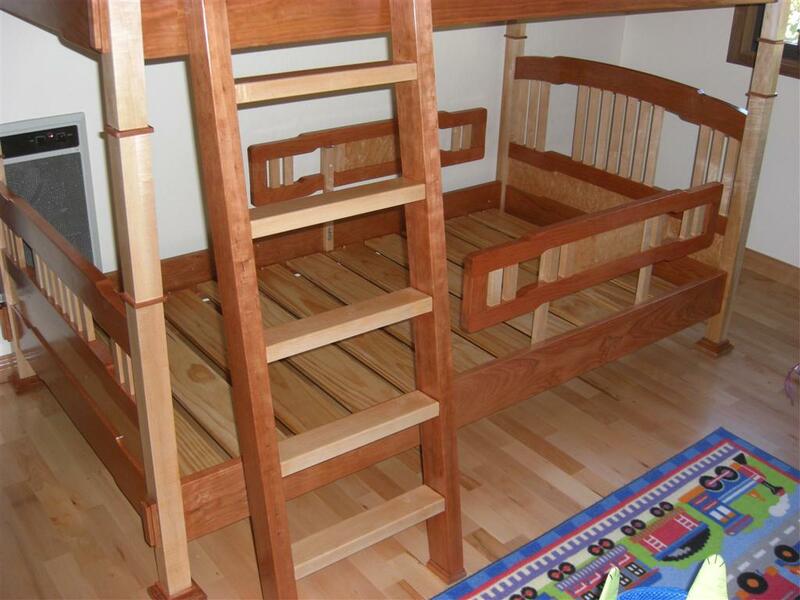 It is finished with a combination of Watco Cherry Oil and GF Arm-R-Seal Urethane Topcoats. I am a retired Architect. 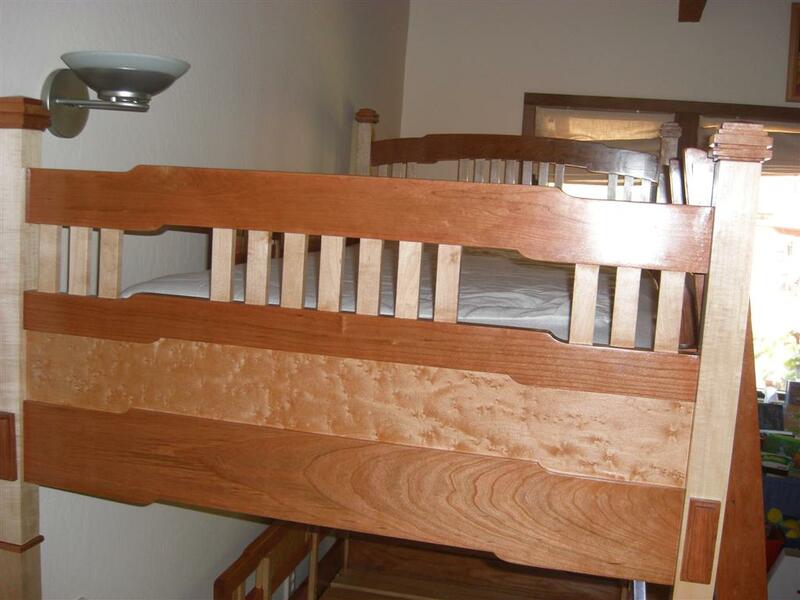 The bed was constructed at the Sawdust Shop a rent-a- shop in Sunnyvale California over a period of a year. Very very nice. The maple/cherry contast is cool. Did you do the design yourself? I am very impressed. 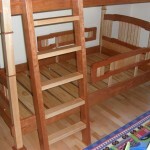 I too will be making a bed for my two daughters, probably within the next year. It was good to hear that it took you a year to make. I guess I should start now. I very much like the birds eye maple veneer. I love wood with a good helping of figure. How did you design the bed? Did you do it in SketchUp or another CAD program, or did you go old school with paper, pencil and a big eraser? Wow – you really do spoil your grandchildren! I only hope they appreciate it for what it represents in time and effort. That is beautiful. I wish I could make that for my kids. WOW! !..thats the nicest bed I’ve ever seen..WOW! I would really like to hear if he has plans he’d be willing to share (or sell?) . . . especially a Sketchup set. Or a scanned copy of the (pen and paper) originals would get me on my way. Beautiful and inspiring! of them and send along with some const. photos if you like. Kind of an old post, but if you happen to have those plans, I would love to take a look. I would be interested in buying the plans as well. 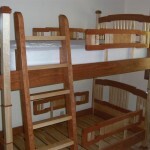 I have been looking at a lot of different plans and your beds turned out great. 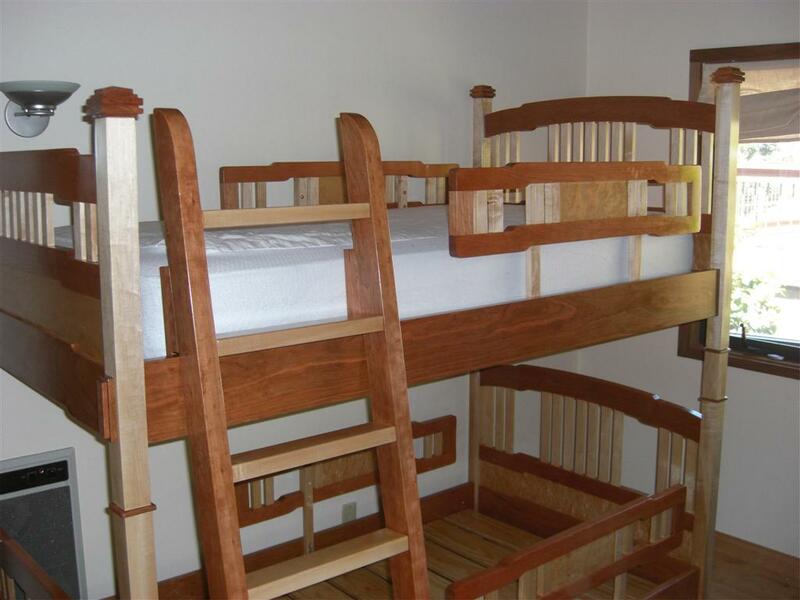 I’ve been searching for nice bunkbed plans and happened across your pictures. 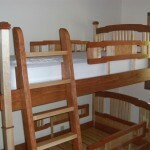 If you are willing to share the plans that you made I would love to build this for my girls.